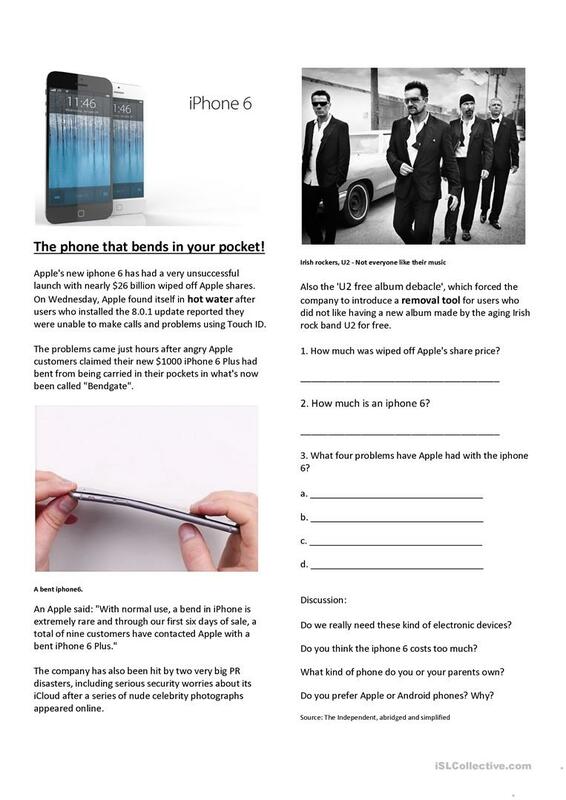 iphone6 - The phone that bends in your pocket! Easy reading for technology obsessed teenagers really designed to ignite topical discussion on technology. The present downloadable handout is intended for high school students and elementary school students at Pre-intermediate (A2), Intermediate (B1) and Upper-intermediate (B2) level. It is valuable for teaching Reported speech: Reporting verbs in English, and is excellent for improving your groups' Reading skills. It is focused on the vocabulary topic of Smart phones, tablets and gadgets and Technology.